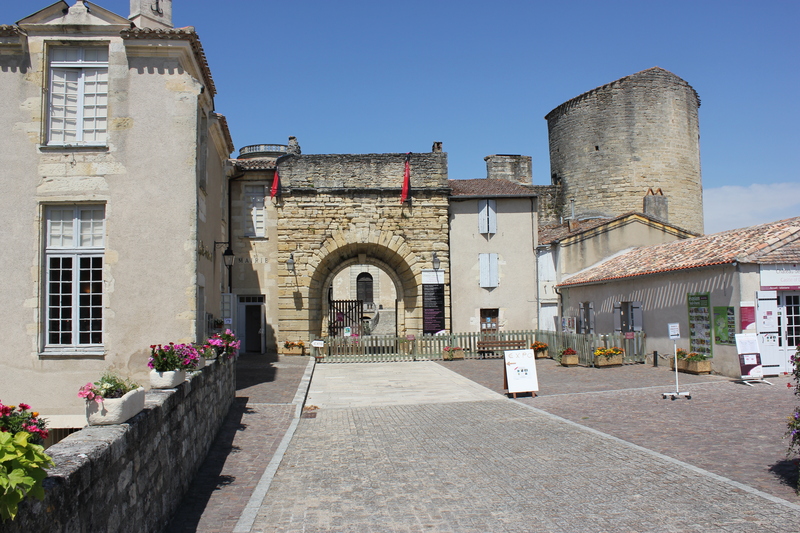 The medieval town of Duras located about thirty kilometers to the south-west of Bergerac in the department of Lot-et-Garonne, has a warmth that captivated us from the very beginning. 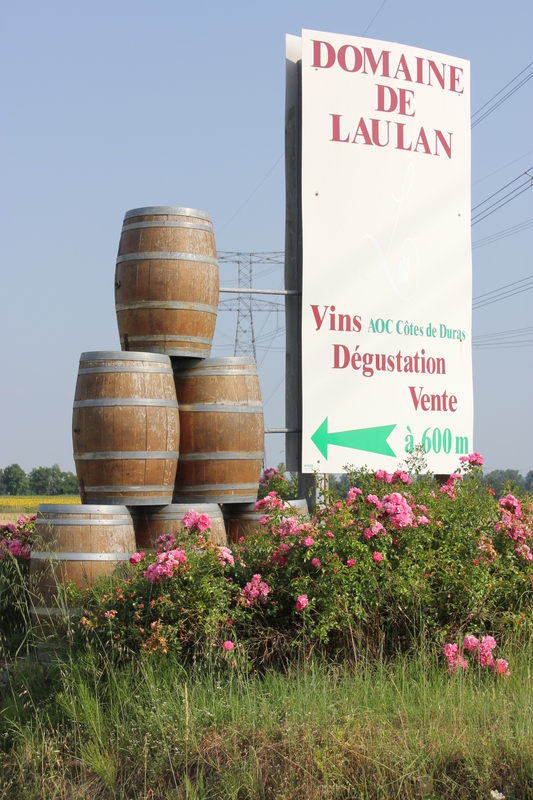 We love its history, people and neighboring villages, and being food and wine lovers, we simple adore its exceptional wines and regional cuisine. 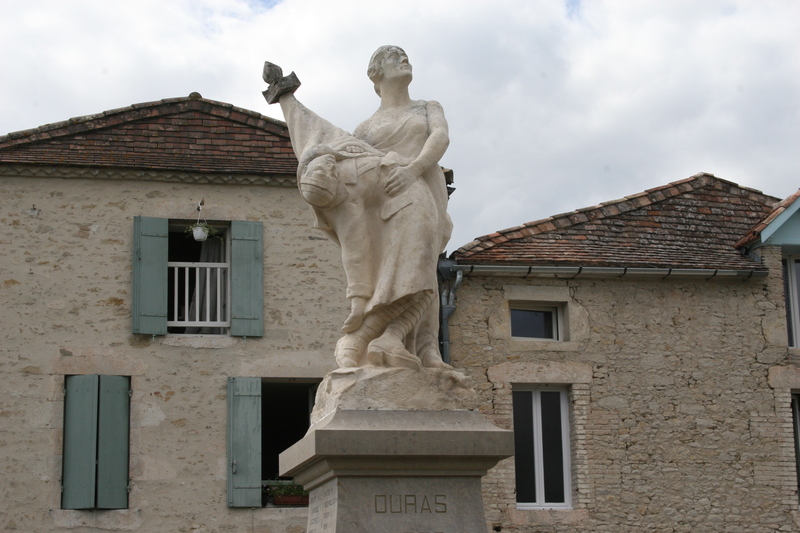 Duras is a beautiful little corner of the world stole that has stolen our hearts and inspired us in so many ways. Let me to take you back to some of my most memorable moments and show you a few of my favorite places in Duras. In Duras, there’s nothing better than beginning the day with a panoramic drive into the centre ville for breakfast. 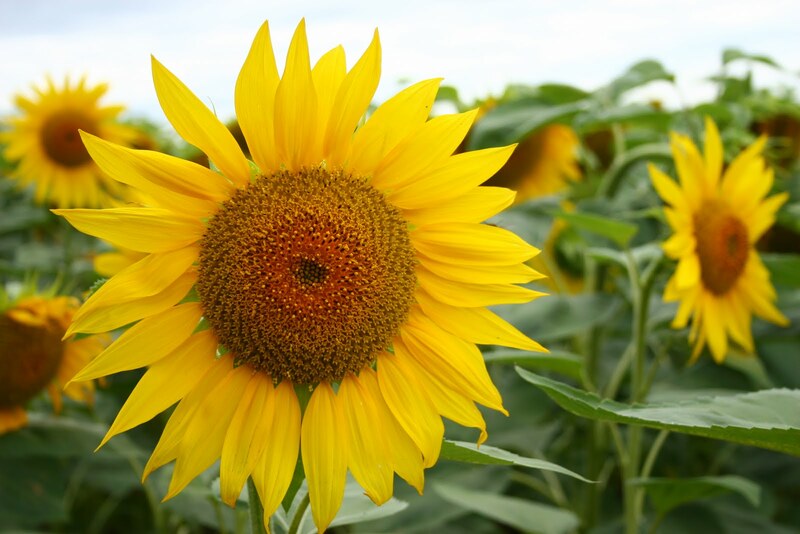 We pass rolling vineyards and in the summertime, when we take a little detour into another village, we can admire golden fields of sunflowers stretching out into the horizon. For some reason, the deep blue of the sky and the vivid yellows of the large blooms always make me feel as though I am actually inside a Van Gogh painting. It’s a little surreal at times. Breathtaking. The first place we visit when we arrive in the village is the bakery on the Rue Paul Persil. We purchase some of their buttery croissants or huge, plate-sized pain au raisins and then take our breakfast to Le Tip Top, a bar/brasserie on the main square (NOTE: the place is now called L’EXpression) . There, we order a grand crème and have a leisurely breakfast while reading the newspaper or simply watching the world go by. And speaking of the market, just like all the other markets in the area, this one offers a wide variety of seasonal fruits and vegetables, fresh meat, all kinds of spices, tasty olives, fat roasted birds and even toiletries and housewares. 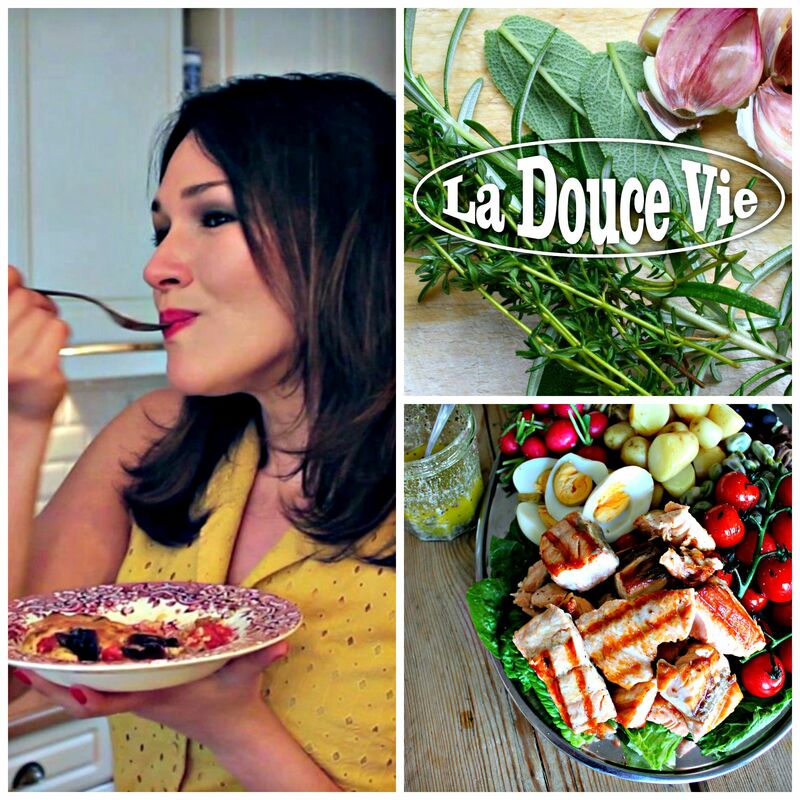 There is so much to inspire me as a cook! But the best market meals are always the simple ones. 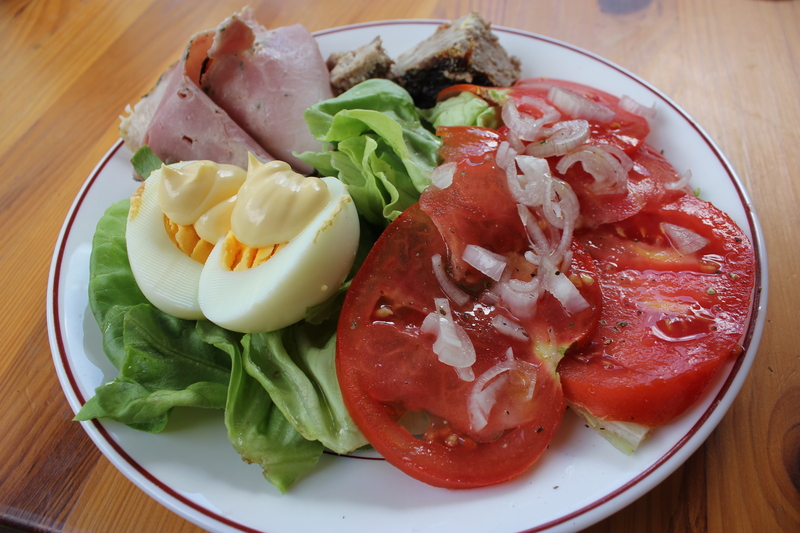 Toulouse sausages or a plate of charcuterie (either from the meat stand in front of the small supermarket or from the butcher Alain Evrard) with a green leafy salad, some olives and bread make a fuss-free and delicious meal. 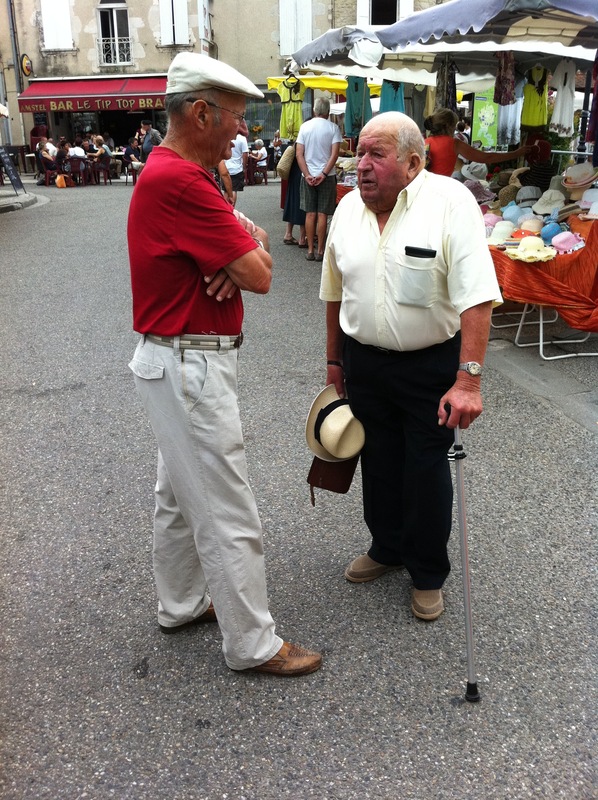 There are a few local wines on offer, and the sellers are always more than happy to give you advice or a little dégustation. Being a food and wine lover/writer, my favorite places to shop are undoubtedly the gourmet kind. When it comes to wine, I’m very lucky because there is a wine bar, Le Chai et Rasade, located in the center on the Place du Marché, where you can sit down for a drink and a nibble and even buy wine straight from the wine grower himself. We have spent many memorable afternoons sampling wines and enjoying artfully prepared boards of Pata Negra ham, dry-cured duck sausage, chorizo, Brebis cheese and bread. 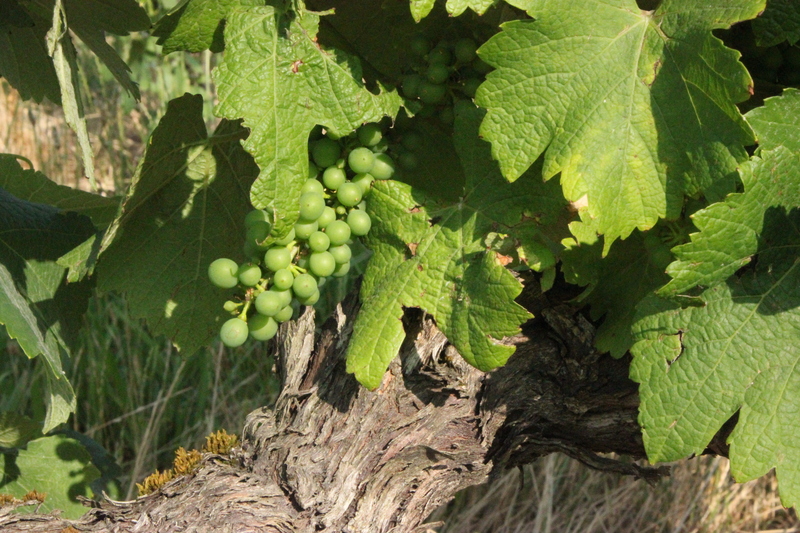 I especially loved the 2009 Château Molhière ‘Les Maréchaux’, a red, full-bodied wine bursting with luscious, ripe fruit. Thanks to the wine, food and extremely friendly service, it is one of our favorite places in the village. 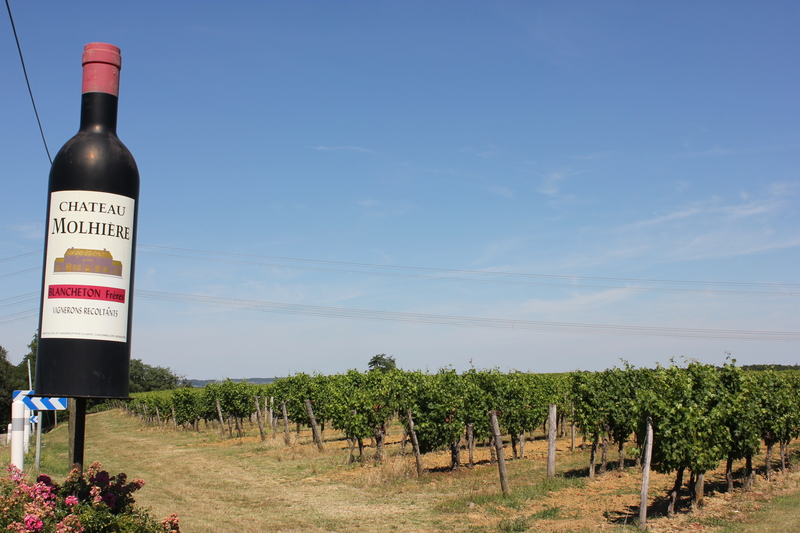 One year, before leaving, we purchased a few bottles of the house wine, and curious as we were, the next day we took a drive through the vineyards of Château Molhière which are found approximately five minutes away from the center, to the north-east. Another treasure is the Maison Guinguet. They specialize in the famous regional prunes (pruneaux d’Agen) and in fine chocolates. Agen prunes are sweet, wrinkly treats, very healthy on their own but sinfully delicious as chocolate-covered delicacies, in jams, creams or my absolute favorite – preserved in wine or liqueur; a fast and easy dessert when served over vanilla ice cream. The pretty chocolates at Maison Guinguet are ideal to give as presents or to indulge in with a cup of coffee after dinner. 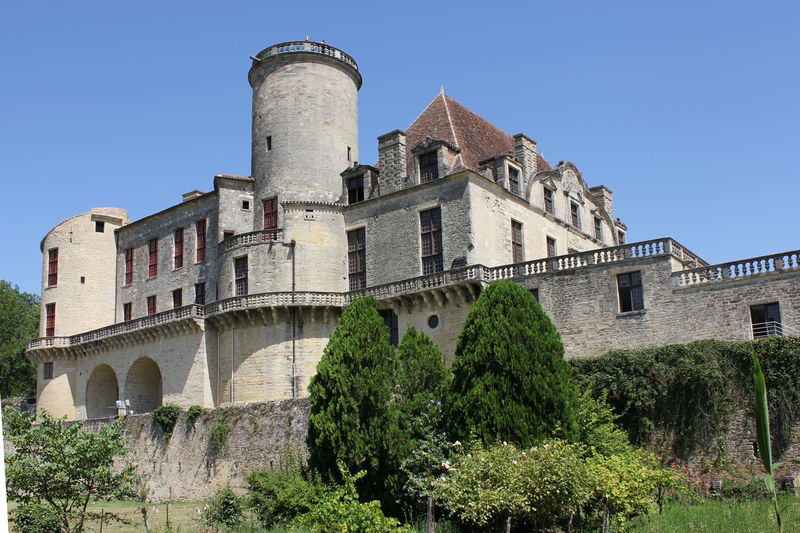 Of course, the main attraction in Duras is its imposing château which originally dates back to the 12th century. 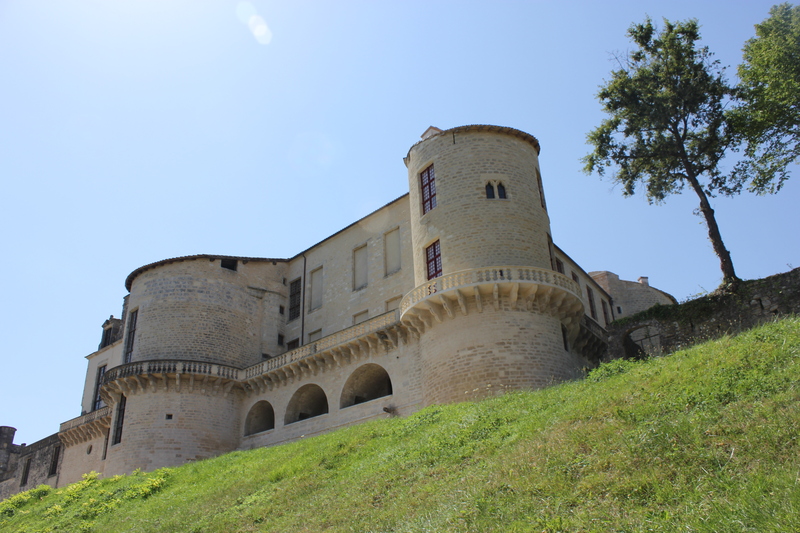 With the help of Pope Clement V and his nephew, Bertrand de Got, it served as a fortress starting in the 14th century and later as a luxury residential accommodation. The château, partially destroyed during the Revolution, was purchased by the people of the village and completely renovated in the late 1960s. 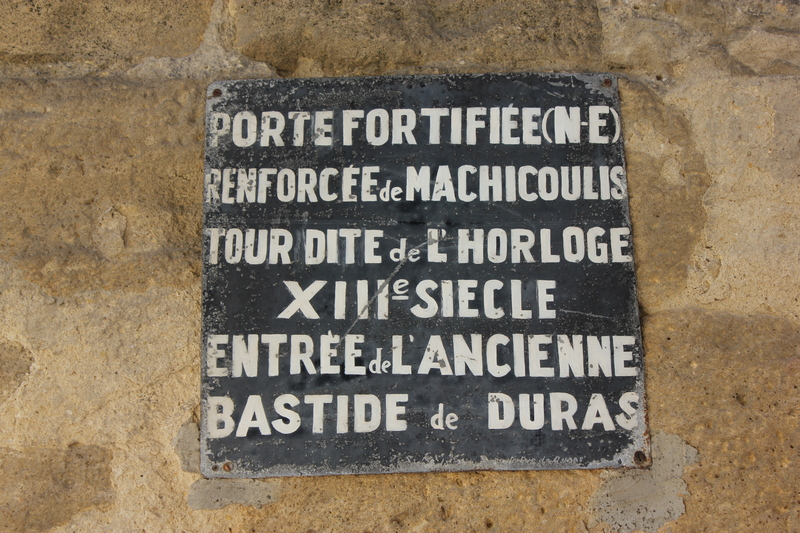 We’ve visited the castle many times, and I would definitely encourage anyone discovering Duras to do the same. There are many beautiful rooms including a kitchen and an original bakery. I’m not very daring, but I was still brave enough to climb up the rounded tower for a magnificent view over the Dropt Valley. 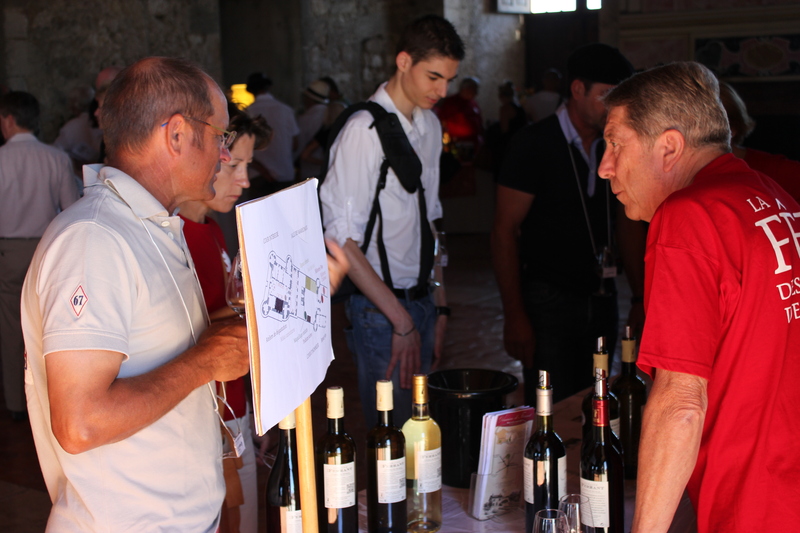 In the late summer, an annual wine fair is held in and around the castle. 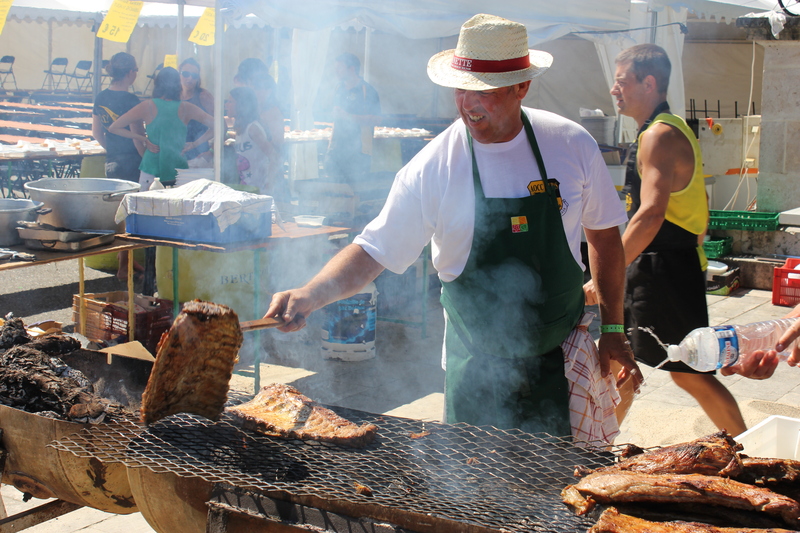 It is the perfect opportunity to try the region’s wines, eat local food and mingle wih the French. How I love Don Camillo, that wonderfully cozy restaurant located on Rue Paul Persil! 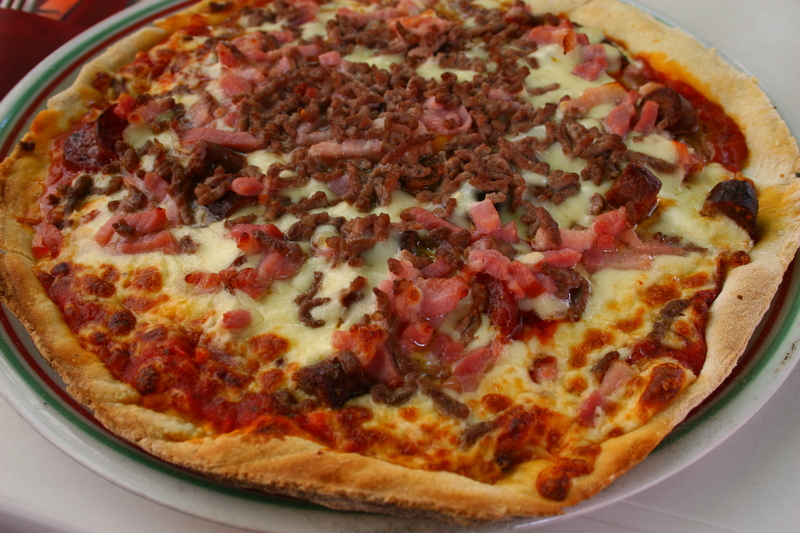 Officially, they’re a ‘pizzeria’, and their pizzas are certainly something to be proud of, but they also offer excellent traditional French cuisine and a reasonably priced wine selection. I remember ordering a bottle of local Merlot and three pizzas the very first time we ate there, completely oblivious as to how filling they were going to be. Well, we nearly had to roll ourselves home that afternoon. So be warned: the portions are very hearty! 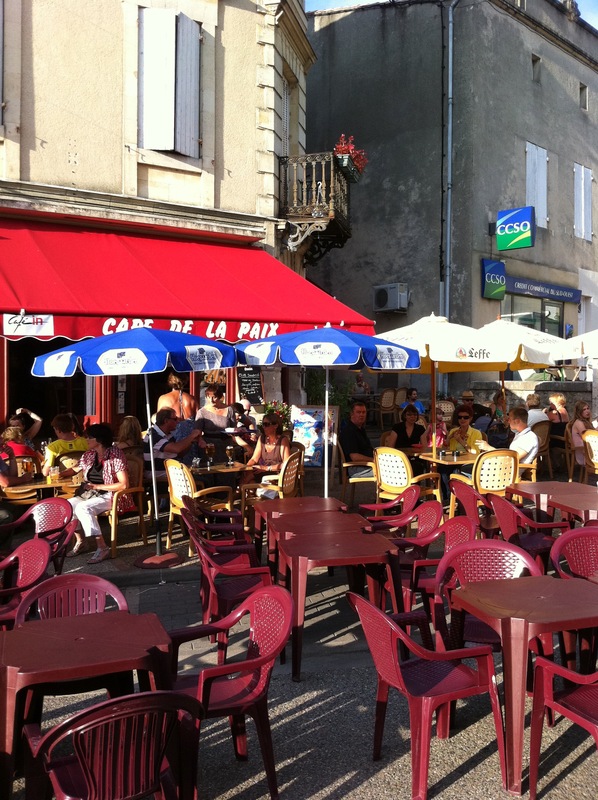 To the locals it’s known as ‘Chez Régine’, but officially it goes by the name of Café de la Paix. Whatever you call it, it’s a lovely place to have a drink, whether that be a Pastis before dinner or an Armagnac and a coffee after. When we sit outside, we have a great view of the château. I love the welcoming, laid-back atmosphere. The family that runs it (with the locally loved Régine at the head) really make you feel at home and always receive you with pleasure. Even on their busiest of evenings. During the summer, the café organises a concert on Wednesday evenings (cancelled in 2016, unfortunately). The last one we attended was sheer joy. Many people made their way to the area where the band was playing and proudly showed off their best dance moves. 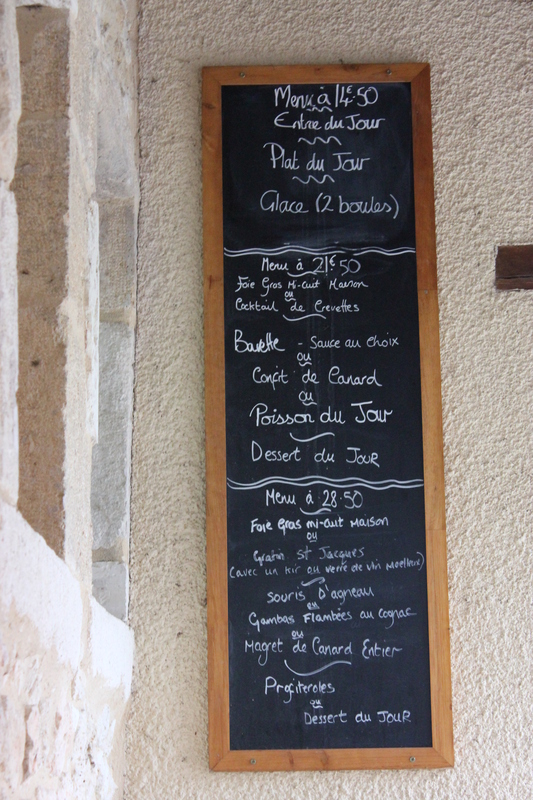 Just outside of the village, following the Route de Savignac, is our favorite restaurant, Le Cabri. It is part of a campsite, but don’t let that fool you into thinking their menu consists of pizza and chips. Quite the opposite, in fact. 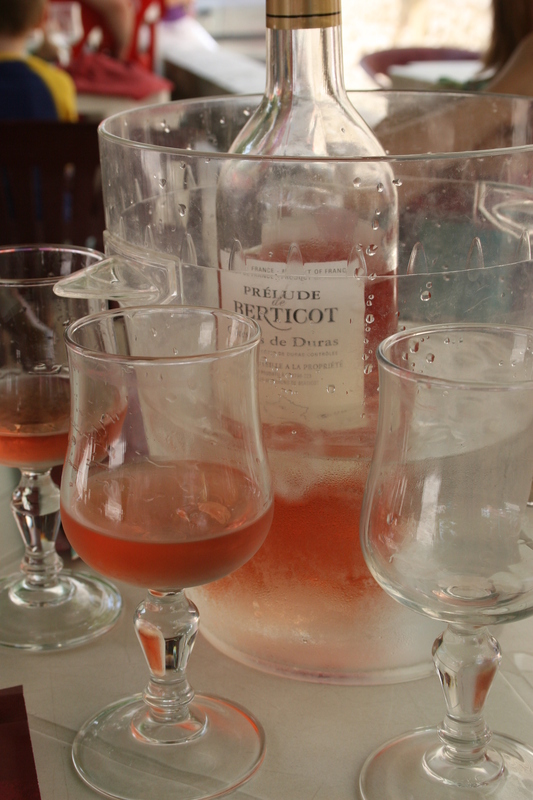 Le Cabri offers both regional and bistro-style dishes and boasts a nice selection of moderately priced local wines. If you’re looking for a good meal, whether that be a perfectly crispy confit de canard (a dangerously addictive choice) or a nice steak, this is definitely the right address. 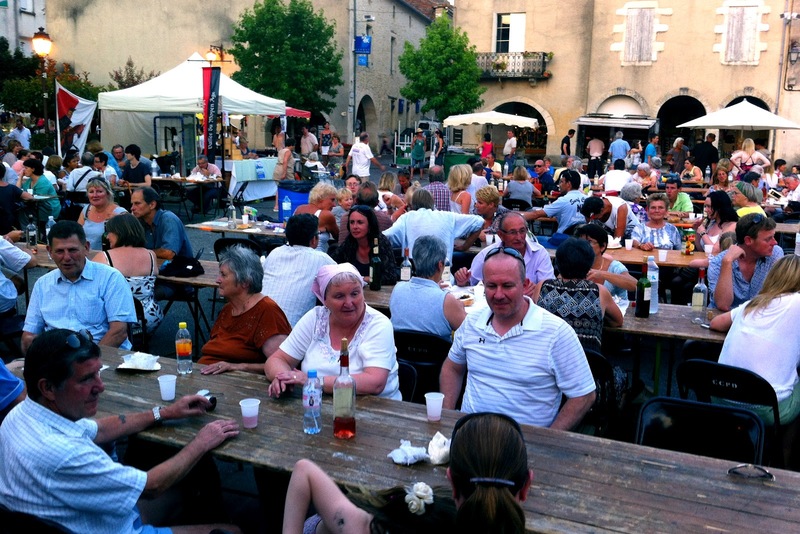 Perhaps my warmest Duras memory involves everything this charming village is known for: great food, amazing wine and friendly people. One Thursday evening, a lovely French couple sat next to us during the summer picnic. 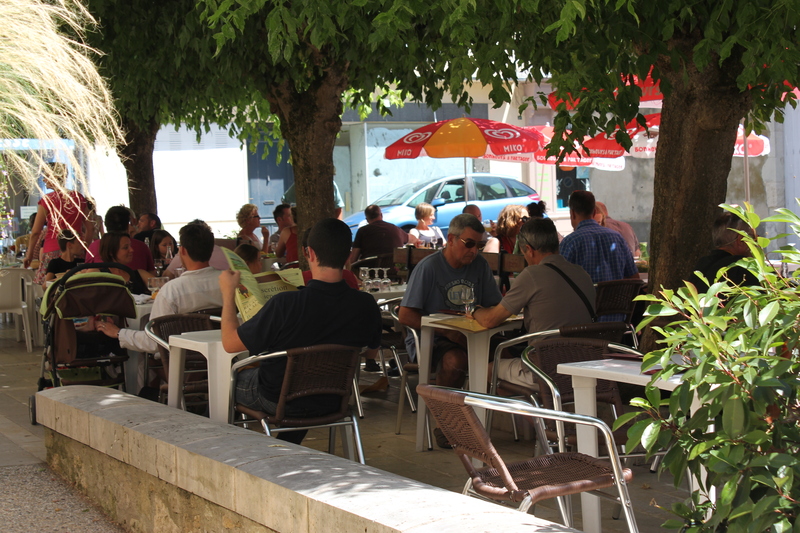 This weekly event sees both tourists and locals gathering in the town center where long tables are set out and stands sell everything from roast chicken to paella to garlicky escargots.